This week I've finally started to get back into War and Peace. Earlier this year I was very enthusiastic about joining Hanna's read along for the epic read, but things sort of didn't work out as planned and I ended up setting it aside after only 300 pages. I gave in and bought it on kindle this week to save my back from certain damage and dived straight in. I don't know why I ever stopped reading it because it's actually really enjoyable, though I guess I may not be saying that when I'm pushing through and still have 500 pages to go. The goal is to finish it before my birthday at the start of July. Do-able? I think so. As ever, I was all over May the Fourth this week and I came across a couple of links that took my fancy. Firstly, Bustle shared nine books to celebrate Star Wars day with, a few of which have joined my wish list. If animals dressed like Star Wars characters is more your thing (how could it not be?! ), then Bustle again have got you covered with these 13 animals who are having a better Star Wars day than you. Buzzfeed also joined in on the May 4th shenanigans and introduced the world to a koala who looks exactly like Yoda. Find him and hug him, I must. Once I'd hung up my Stormtrooper onesie for another year (hardly, it's my chillaxing outfit of choice), I of course moved onto slightly more serious reading. 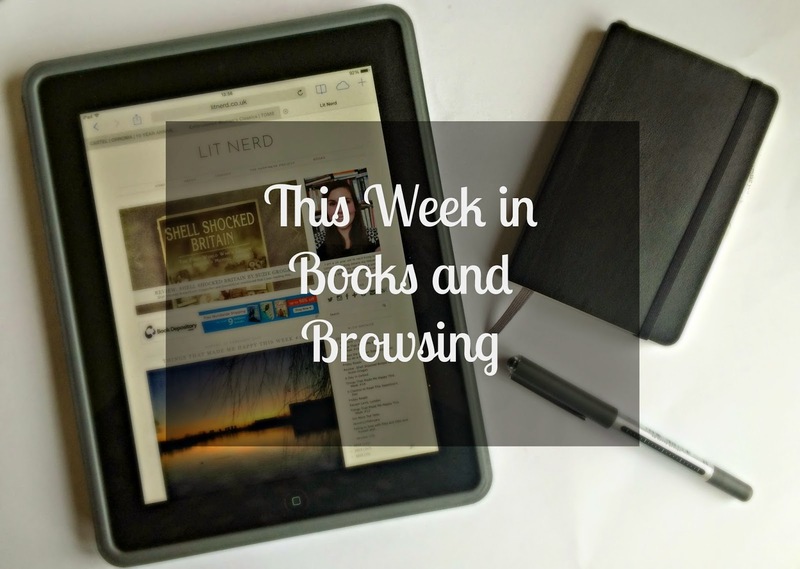 I'm a sucker for a bookish list and two caught my eye this week. Firstly, Kirkus Reviews collated a list of ten novels to lose yourself in. I'm particularly intrigued by The Woman Who Read Too Much. Secondly, as it's Mental Health Month in America, Bustle shared fifteen memoirs about mental illness that should be required reading. The books on the list encompass a huge range of mental illnesses from depression and eating disorders to psychosis and schizophrenia. I'm certainly planning to read more than one. Finally, I'm a huge believer in not reading literature out of context and this article examining WW1 poet Jessie Pope demonstrates why. I don't think we should judge writers retrospectively, particularly when they do initially represent the views of a huge number of people. Things change, yes, but I don't think we should read history backwards.